The First and the Second World Wars witnessed landmark battles in the History of France. These deadly conflicts are an integral part of France’s cultural heritage and it is therefore important to pass on this legacy of our past to future generations. Remembrance tourism makes it possible to perpetuate the importance of Remembrance so that we never forget the atrocities committed on French soil and everywhere else throughout the world. It was supposed to be “The War to End All Wars”. This Great War of the most advanced nations of the time, that would forever reconcile the people of the entire world, became a battle of horror and absurdity. In November 2018, France will commemorate the 100th anniversary of the Armistice that ended World War I. It will be an occasion to remember the victims and the consequences of a deadly war, entered in full force during the era of industrialization, but also to recognize the importance of peace in Europe and throughout the world. Remembrance tourism has grown in popularity during recent years. Firstly with the French, who want to remember and visit important sites marking their history, but also with foreigners like Americans, Australians, the English, and Canadians, who hope to learn more about the battles their countries have witnessed, and sometimes even to visit the tomb of an ancestor who fought on France’s shores. To remember also means to learn so as not to repeat mistakes of the past. The history of France has been forever marked by the 1st World War and most notably, by the Battle of the Somme fought by the British Empire (Australia, Great Britain, New Zealand…) and France against the Germans in 1916. It was one of the bloodiest battles in human history, and the scars left by the violence of the conflict are still apparent today, one hundred years later. The battle was mainly fought to claim the territory of the Somme department, east of Amiens between the towns of Albert and Roye and their surrounding areas. Today you can still visit the vestiges of this war: trenches, blast holes, cemeteries and annihilated villages. With PARISCityVISION you can immerse yourself in the history of World War 1 and take a small group tour of the Somme to explore the ruins of this deadly war. 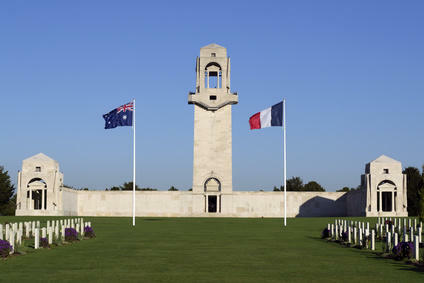 Accompanied by an expert guide, you’ll visit remembrance sites like the Australian National Memorial of Villers-Bretonneux, and the Museum of the Great War in Péronne. You’ll explore the trenches and battlefields that bear the scars of the First World War. This is an opportunity to pay homage to the French, British, Australian and Canadian soldiers who died on this land, sometimes thousands of kilometers from home. Whether you opt for a private “Remembrance Tour“, or a small group tour, take advantage of our expertise and come to pay your respects in the Somme, participate in Anzac Day (April 25, the victory of the Australians against the Germans), visit historical sites and places of commemoration (Beaumont le Hamel, Lochnagar Crater, Pozières, Mont St Quentin)… Note that the Battlefields of the Somme will be designated as a UNESCO World Heritage site in 2018 on the occasion of the 100th anniversary of the Armistice. Today these battlefields are among the most frequently-visited remembrance sites. Visiting memorial sites is a unique experience, especially when you know everything that took place there. The objective of remembrance tourism is to understand and remember history. Among the most visited sites of the Second World War in France are the Caen Memorial, the landing beaches (Utah Beach, Omaha Beach), the American Saint Laurent Cemetery, Oradour-Sur-Glane, etc. Less than 3 hours from Paris, Normandy has a great deal to offer from a historical perspective. With PARISCityVISION, you can take a full-day guided tour of Normandy on an air-conditioned coach that leaves from Paris, and discover the landing beaches, the Caen Memorial, Arromanches and the Canadian Memorial of Juno Beach. These commemorative sites draw a large number of visitors from France and other countries, particularly the United States, Canada and Australia. In fact, many of these foreign visitors had ancestors who defended France during the Second World War. These tours provide them with an opportunity to remember their ancestors and honor the memory. 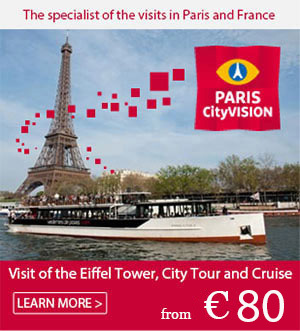 PARISCityVISION also offers a food and wine tour to explore the cultural heritage of Normandy. On this full-day excursion, which leaves from Paris, you’ll enjoy the fresh air of the Normandy countryside and discover local producers, traditional farms, and typical products of the territory such as cheeses, charcuteries, ciders, salted butter caramel… Prepare your taste buds. Visit the landing beaches, discover allied war cemeteries and the German Cemetery, see famous sites like Pegasus Bridge. 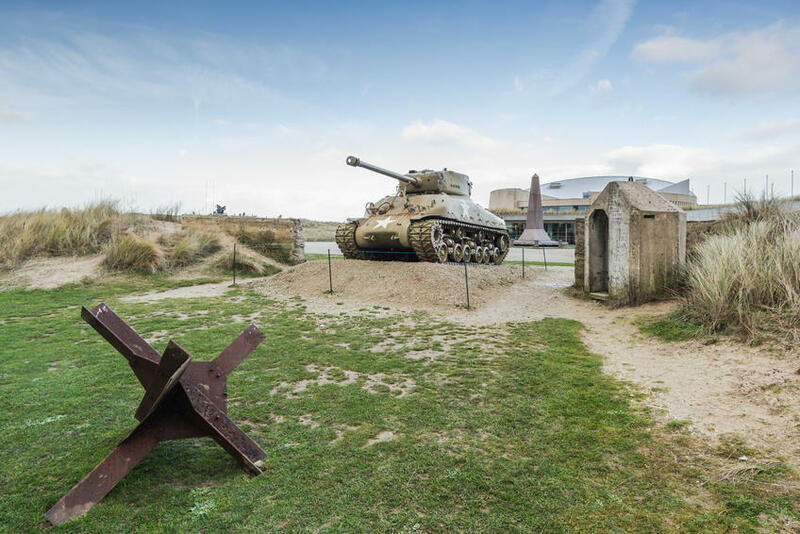 There are numerous tours leaving from Paris that retrace the significant events of the Battle of Normandy… Make sure to book an excursion retracing the history of France with PARISCityVISION. You’re sure to find the tour which best suits your needs and desires. In addition to the significant events that have marked the 20th century, which are well-remembered because they have touched relatively recent ancestors such as grandparents and great-grandparents, France also offers an exceptional historical heritage, from Ancient Rome to the Renaissance, from the Middle Ages to Modern Times.